Original resolutions - 4000x2500 px. 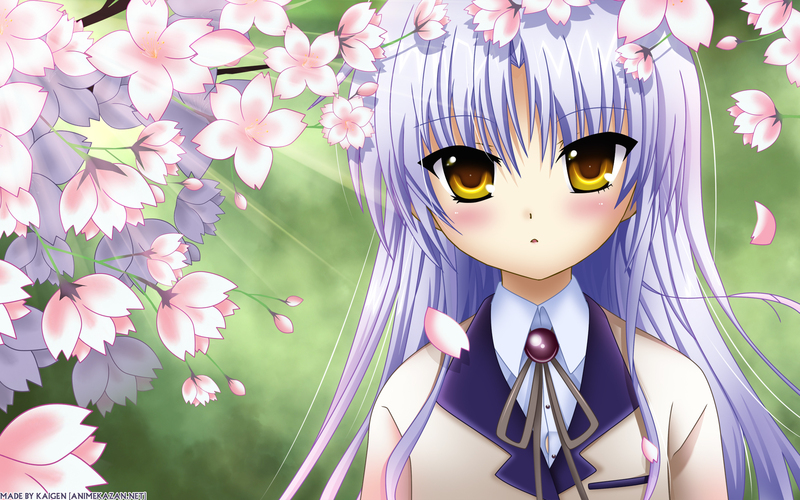 Another nice wallpaper from you , and that's charater i like in series Angels Beat! , thanks for your work ^^. I'll put this one up as last reminder of spring! This is beautiful! 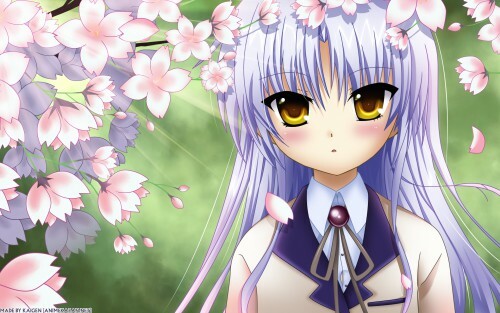 Good work on the vector, I love the cherry blossoms and her eyes are lovely. I wish there was a little more going on in the background, but that's my only criticism. my only critiques are the outline on the sakura flowers. try lighter pink that suits the sakura's colors. plus i love the flowers & how you vectored her. Nice work! Your work sure impress me... Not only the vector has that kawaii looks, the bg suits her too... Just watched Angel Beats... Too be honest, the anime was something like CLANNAD. Wow, that looks awesome. Love the drawn cherry blossoms, they look fantastic, and her rosy cheeks are so cute xD good work, and thanks for the share. Very nice. Keep 'em Coming!